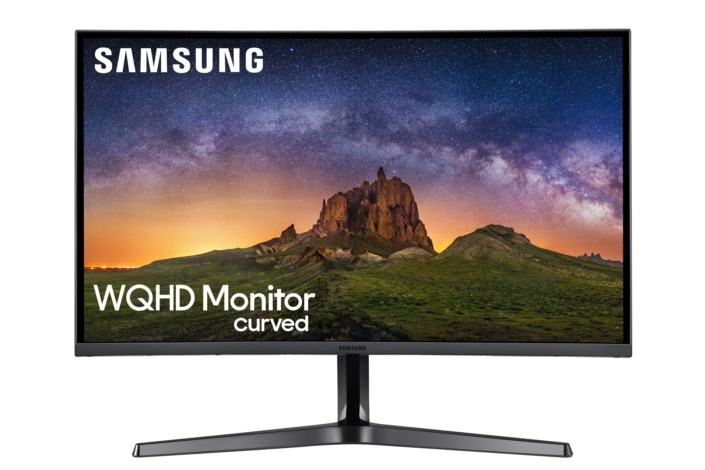 Samsung Electronics unveiled its new CJG5 curved gaming monitor at Gamescom 2018, held from August 21 to 25. Samsung is exhibiting its advanced gaming monitor line-up equipped with super ultra-wide CHG90 experience zone under the theme, “Wider View. Winning Play.” Held in Cologne, Germany, Gamescom is one of the world’s largest gaming trade shows that attracted more than 350 thousand visitors from more than 50 countries, last year alone. The CJG5 features WQHD resolution (2,560 x 1,440), which is four times higher than HD, delivering precise and life-like images with deeper blacks, brighter whites, and vibrant colors, as well as a high contrast ratio of 3000:1. Paired with a curved VA panel and three-sided bezel-less design, the CJG5 completes an immersive environment that provides the most engaging gaming experience and minimizes eye fatigue. Furthermore, the 1800R curvature that minimizes eye fatigue by reducing the change in the user’s focal distance. By imitating a real-life view, the CJG5 helps users who swiftly move their focus while playing games, even over prolonged periods. The 144Hz frame rate enables extremely responsive graphics and a lag-free environment that enriches the gaming experience. The game and cinema modes automatically optimize the black gamma level, contrast, sharpness and saturation for any genre of games and movies. Users can also instantly check and control key settings during the game with ease, using the game-dedicated On Screen Display (OSD) dashboard menu with game style UI. At Gamescom 2018, visitors can take a look at the CJG5 gaming monitor in Europe at Samsung’s Gamescom booth (Hall 10.1 Stand A100) and Ubisoft’s booth (Hall 06.1 Stand B021, A020). Samsung partners with Ubisoft, PUBG Corp.(Hall 09.1 Stand A060, C061), Warner Bros(Hall 10.2 Stand B026), Deep Silver(Hall 09.1 Stand A012), Square Enix(Hall 09.1 Stand B041), and Logitech(Hall 10.1 Stand D050) will present various gaming contents on Samsung gaming monitors including CJG5. The Samsung experience zones will be available at both partners’ and Samsung’s booths, in which gamers can find an ultimate gaming experience with the 49-inch super ultra-wide CHG90. The CHG90 is the world’s largest QLED curved gaming monitor, with a 144Hz refresh rate and 1ms Moving Picture Response Time(MPRT) that was unveiled at Gamescom 2017. For more information on Samsung’s CJG5 WQHD monitor, please visit news.samsung.com, and to find out more about Samsung’s presence at Gamescom, please see here.